‘What comes next’ is a big deal if you happen to live on Earth. Trying to predict the future is the basis for pretty much everything on this planet, from governmental policy-making to next year’s spring fashion line. We live in the present, but a good chunk of our energy is invested in tomorrow’s outcome. So why should fiction be any different? From current trendy post apocalyptic YA, like the Hunger Games or Maze Runner series, to classic dystopian novels such as George Orwell’s Nineteen Eighty-Four or Ray Bradbury’s Farenheit 451, readers and writers alike have long shared a fascination for the future. Granted, it’s probably much easier to imagine the Earth in 2235 than to create a ten-year governmental plan with actual consequences, but it’s still a major challenge for any writer to create a believable future that makes sense, culturally, politically, and socially. I’ve invited two talented authors to join me here and tell us how they pulled it off. Author of nine novels and countless short stories, Stephen Palmer is an old hand at painting the future. In Muezzinland (Wildside, 2003), for instance, we travel through twenty-second century Africa, and Memory Seed (Orbit, 1997) explores a dying human civilization on Earth. 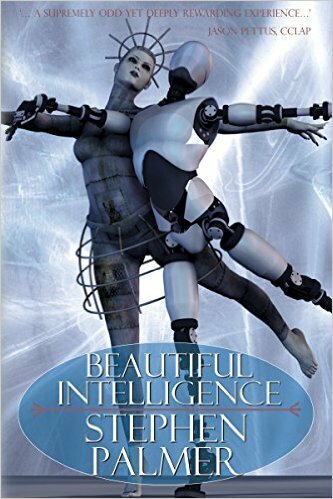 In the recently released thriller Beautiful Intelligence (Infinity Plus Press, 2015), Stephen gives us a frantic, fast-paced futurescape. This is a place where western civilization has all but collapsed, leaving great expanses of Europe and the USA an economic wasteland. In Stephen’s world, where everyone is virtually connected via the nexus, and eyes are everywhere, two scientists and their teams race to be the first to create true artificial intelligence while staying a step ahead of the Japanese corporation hunting them down. Police officer Ralph Kern released his first novel Endeavor in February 2014. Originally self-published, Endeavor was picked up by Tickety Boo Press and the second volume in his Sleeping Gods series comes out in November. The novel, which is in process of being adapted for the big screen, tells the story of the Starship Endeavor on a daring mission to solve the Fermi Paradox. Due to their manner of star travel, each time the ship and crew return home the planet has moved on and evolved. This means that, in practice, Ralph has had to create multiple future Earths: the 2118 Earth the explorers first depart from, and the different future Earths they encounter each time they return. Juliana: Thanks for joining me on the blog, Ralph and Stephen. Have you always enjoyed reading and writing science fiction? What is it about stories dealing with humanity’s tomorrow that you find appealing? Ralph: And thank you for hosting us, Juliana. For as long as I can remember, my genre of choice has been science fiction, especially the harder end. I love the hypothesizing of what will happen in our future. What will society look like? How would we deal with a discovery which changes everything? What will our children and children’s children be like? The possibilities are endless, and so often make for fascinating stories. Juliana: Continuing from the previous question, is imagining the future something that comes easily to you? Stephen: Well, I suppose I’d have to answer yes to that. Of course, “easy” doesn’t necessarily mean accurate, or even interesting, as some of my fans would tell you. As somebody though who loves nature and is particularly keen to support Green agendas, imagining the relationship between humanity, and individual people, and the natural environment is very high on my list. A lot of my work has this at its heart, most obviously in novels like Memory Seed and Glass, and Urbis Morpheos. I’m truly interested in how it will all turn out for humanity on planet Earth, and that fascination I think comes out in some of my work. Ralph: Imagining the future I’d like to see is very easy. Imagining a future which I think is realistic is more difficult. Without the benefit of a crystal ball, there are many things you have to take a best guess on but you know what? That’s the fun part. Juliana: I imagine one of the difficulties of writing about the future is creating technology that is recognizable enough to be believable, yet won’t become outdated after a few years of publication. How do you tackle this? Stephen: It depends. In Urbis Morpheos I was writing about people on the Earth a million years hence, so there was no point talking about modems and hypertext transfer protocols. Mind you, that was a deliberately “mysterious” work clothed in hints and metaphors. In Muezzinland I did make a stab at deciding what aspect of computer technology might be around in 2130. Beautiful Intelligence was similar: I tried to extrapolate certain things I see now, such as the shocking influence virtual technology has on young people, and the lack of privacy people have these days (if they allow the internet to strip them of their privacy, that is – I don’t). No author however should expect to get it right, or even want to get it right – it’s more about the characters and the narrative. But I do think imagined veracity is important, and at the very least you have to be consistent. Part of the fun of writing Beautiful Intelligence was contrasting the different approaches of the two teams, then messing up their plans for them in a way consistent with the economic and social milieu. Ralph: Oh I’m very sure that in 10 or 20 years, my work will seem incredibly dated, after all, think how much culture has changed with the advent of the internet and then smart phones to bring it into the palm of your hand! Who knows what paradigm shift is just over the horizon of a similar scale? I can take a good guess – augmented reality would be what I would put my money on and which forms a part of the Sleeping Gods universe. Still, there are many developments which could happen and I say with conviction there will be new inventions we haven’t even thought of which might revolutionize the world as much or even more so – who would have predicted social media even up to a couple of years before it stormed into modern culture? But as writers who want to create a plausible world, extrapolation of existing technology combined with a healthy dose of imagination helps. I apply the Iphone test. We all can probably envisage what the Iphone 7. 8 or 9 will roughly look like. But, assuming Apple is still around in a hundred years, what about the Iphone 100? Juliana: What are the biggest challenges when it comes to creating tomorrow’s society, with its own distinct culture and linguistic terms? Ralph: One has to balance readability against plausibility. Let’s take the augmented reality I mentioned. What would a society look and act like where everyone sees the world through that lens? Or has implants wired into them so they can talk to anyone they want just by thinking at them? Would their communication be in terms we can understand? I’d suggest it would be something on par with how we would describe telepathy. But does that necessarily make for an interesting narrative that a present day reader can truly buy into? It would be difficult for us to sympathize with a character who doesn’t speak but thinks at people. An aside, part of Endeavour involves a scene set in the 16th century. Jennifer, my editor, and I did a lot of research into how people spoke back then. It would be comprehensible… just, but not exactly easily readable by any stretch of the imagination so we had to tone it down a touch. Extrapolate that 400 years into the future and it is likely our descendants would think the same of our speech and writing. I don’t know whether the term has an official name, but I often think fiction set in the future, distant past or a fantasy world has the benefit of the story being told by a narrative interpreter who helps us poor present day readers understand and that’s okay – Especially in the realms of hard SF, readers are quite understanding of that fact. Stephen: I have to admit, I don’t really think of it in terms of challenges. I just imagine it however I like. Even when I was a naïve and dim writer editing the third version of my debut novel I realized there was no point in worrying about such things. As long as the characters were “right” in their setting, and as long as the plot felt good, I was happy. Still am. A few readers of Beautiful Intelligence have remarked that they don’t believe America and Europe will suffer massive economic depressions around Peak Oil, but I think that will happen, so I included it in the setting. Anyway, it doesn’t matter how accurate people see that as – if they should be reading Beautiful Intelligence in 2092 – what matters is whether or not they enjoy the story. I’m afraid I have a bit of a “Kate Bush tendency” when it comes to my work – I hope my fans follow me wherever I lead. I’m not the kind of author who is known for one genre of work, which means alas I will lose fans over the years. Hopefully I’ll gain a few though. 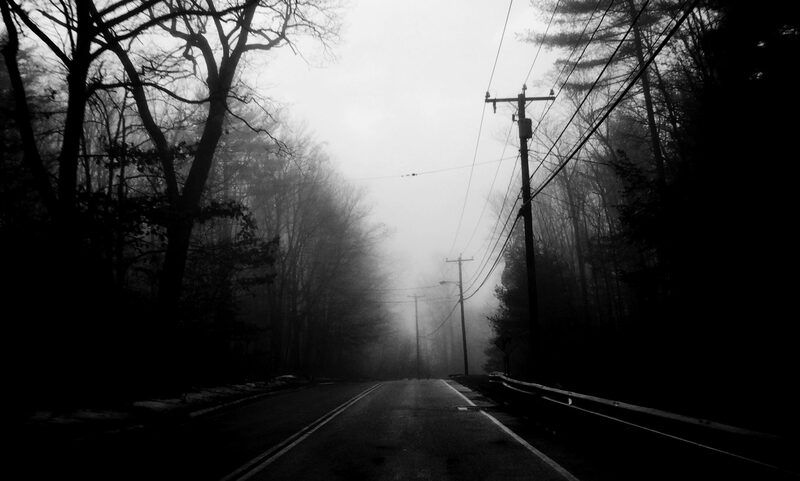 That’s the problem with having a muse – you have to follow it regardless of direction. Juliana: What are some of the common pitfalls that you tend to see in portrayals of humanity’s future? Stephen: Mostly just being exceedingly dull. My early unpublished work was about the milieu, not the people in the milieu; too many writers take that mistake into their published novels. (I imagine self-published work is full of it.) The good stuff is vivid and different and iconoclastic, like Gwyneth Jones, or Jack Vance. The bad stuff… well, I won’t name names, but endless expositions on future Chinese societies or Martian futures with diagrams does not a good book make in my opinion. Ralph: What one sees a lot of in fiction is selective adoption of current technology when extrapolating progress into the future. To use a simple example, one of the tropes of science fiction is fighters and warships slugging it out in space. But hold on, what about unmanned aerial vehicles which are fairly mature even now? Or how can some technology be a step down from what we currently use? I’m okay with it as long as there is a reason, even an implied one. But too often authors simply forget or ignore contemporary developments in order to create a plot device to serve their story. That moves things into the realms of science fantasy for me or at best an alternative reality story where whatever that thing was they are ignoring has not been invented. Juliana: Could you share some tips for science fiction writers attempting to create their own world-to-be? Ralph: Completeness. A well-realized future world gives the impression of actually being able to function and has the weight of a future history behind it. Think that little bit wider when creating your world. Okay, every aspect may not make it onto the page, nor should it as it doesn’t necessarily have a place in the story, but if you do take that view, I firmly believe it transfers into the writing. One of my favorite bits of writing is the working out of context. Take Endeavour. Some time prior to the main story being set, there was a nano-tech revolution which is on par with the industrial revolution of the 18th century. Do I need to delve deeply into that for the story I wanted to tell? No – but the wider thinking of the profound changes that brought, or brings more accurately, to society helps give context for other elements of the tale. That also may help with the pitfall I mentioned. If you need to have space fighters rather than drones? Well maybe there is some kind of technology which stops drones from being used. Stephen: Cultivate your imagination. If you’re copying other genres, authors or series because you idolize them, give up now – you’re not destined to be an author. Be a total one-off even if that means you never get anywhere. If you are persistent – by which I mean over years, possibly decades – and if you increase your luck by never giving up and following every lead, you might get somewhere. Or you might not. But the change from writer to author happens because imagining is an inseparable part of your psychological make-up, so questions of writing success don’t enter into the equation. Juliana: Who are some of the authors you admire for their ability to weave convincing visions of our future? Stephen: In addition to those mentioned above: William Gibson, Brian Aldiss, Bruce Sterling. Alastair Reynolds’ space opera novels were particularly good; reading the Revelation Space trio was a great experience. Ralph: While many writers invent future societies, there is one who stands out as truly creating convincing worlds – Peter F Hamilton. I’m very sure an editor who is purely plot focused could easily cut down his weighty tomes to half the length or less, but that’s not what his writing is about. Two of his major works, The Nights Dawn Trilogy and the Commonwealth Saga explore every nuance of those universes, from the lowest end of the social spectrum to the highest offices, from slums to palaces. What he comes out with is a universe that can function which he then sets stories within. The Commonwealth Saga is especially interesting as he balances the inevitable stagnation which immortality would bring with the sense that humanity exists in a universe which is evolving – forcing change on people who don’t necessarily want it. Like or loath the hedonistic worlds he creates, they are among the most complete visions of near to far future societies. Juliana: Thank you, Stephen and Ralph, for a fascinating glimpse into what writing about humanity’s future involves. I’m looking forward to all those new words and new worlds I know you have planned for us! New work by Stephen Palmer includes the novella Monochrome, in Space Trek (Tickety Boo Press, November 2015), and a new novella coming later in the autumn: No Grave For A Fox (Infinity Plus Press) is set eighteen years after the events of Beautiful Intelligence, in the same world. Also, keep an eye out for the release of an alternate-history trilogy set in Edwardian times, opening with The Girl With Two Souls. For news and updates, as well as information on all Stephen’s work, visit www.stephenpalmersf.wordpress.com or check out his Facebook page and Twitter updates @libermorpheos. 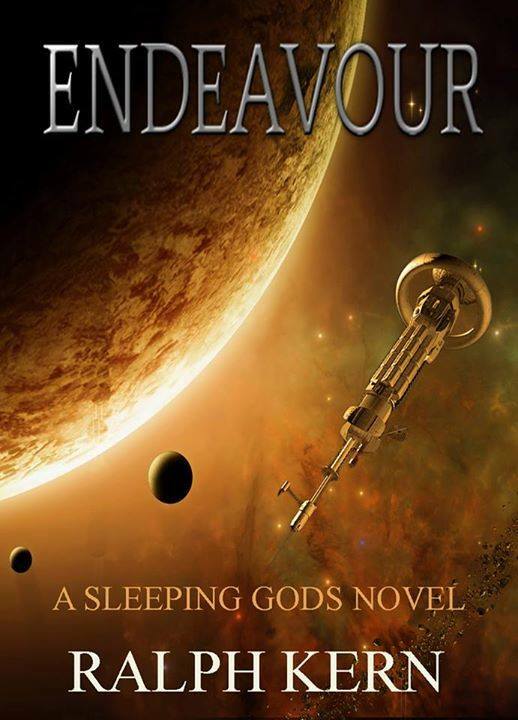 The second volume in Ralph Kern’s Sleeping Gods series, Erebus, will be released in November 2015 (Tickety Boo Press). He also has a short story, Steel Eye, in the upcoming anthology Space: Houston, we have a problem (Tickety Boo Press). You can find Ralph’s updates and news on his Facebook page. Spotlight is a monthly blog feature. Check out August’s Spotlight on Small Press Publishing with Gary Compton. Next up in October: Spotlight on Cover Art.